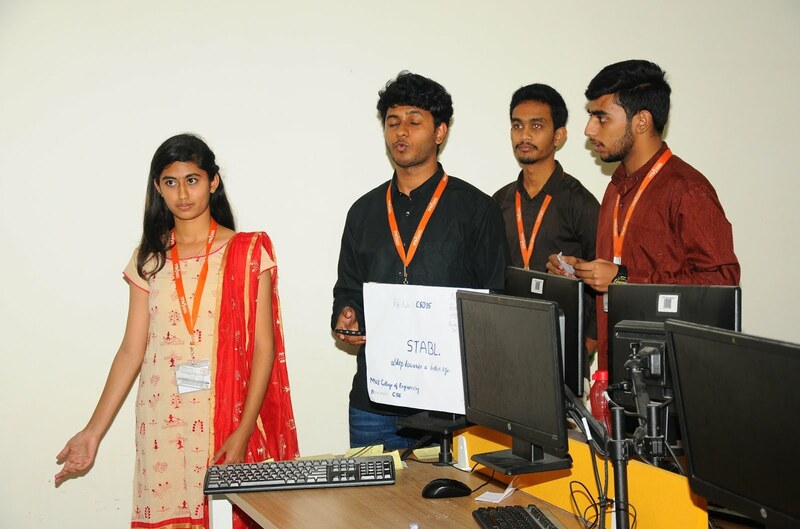 A group of students from MVJ College of Engineering have developed an application called as STABL (Step towards Better Life) which helps people to meet their basic necessities at ease. For Eg: If a person is sick, the symptoms can be detected using this application, the doctor consultation, and even the medicines from the pharmacy will be delivered to your door-step using this app STABL. This application most importantly helps the migrated population, making their life easier. I want to do an app development project. I’m from a village near to Kolar. I moved to Bangalore to pursue an engineering degree. I stay in a PG nearby my college. Once during a bad weather, I caught the flu. There was no one to take care of me and I was all on my own. Finding a doctor and going there in a new place without anyone’s guidance was a real pain. After some struggle I managed to find a doctor and visit him, the next problem was getting medicines. Then came up food, I didn't know what food to consume which would help my speedy recovery and even if I knew I did not have the strength to go and get the food or make it. After that experience, I thought to myself that if I faced so many difficulties, how many others may be facing much more difficult problems under bad health circumstances. I immediately started searching for an app that might help people tackle these problems but I found no success in that. This is when I came up with an idea, an idea to develop an app which solves these problems. An app that can be used to report the symptoms that the person is suffering and a doctor checks him online or he physically comes and checks the patient. The doctor can upload the prescription upon the consent of the patient which will be sent to the nearest pharmacy and the medicines would be delivered in no time. (In case a prescription is available, it can be uploaded by the user which will be forwarded to the pharmacy) The app also gives reminders as instructed by the doctor as to when to take the given medicines. Apart from this feature, the app also researches what best food to be consumed which will further help a speedy recovery. The recipe for the suggested food will also be displayed. An option to order the food from a nearby restaurant will also be given. From time to time feedback from the user is collected as to how he is doing and reports of the recovery is made.